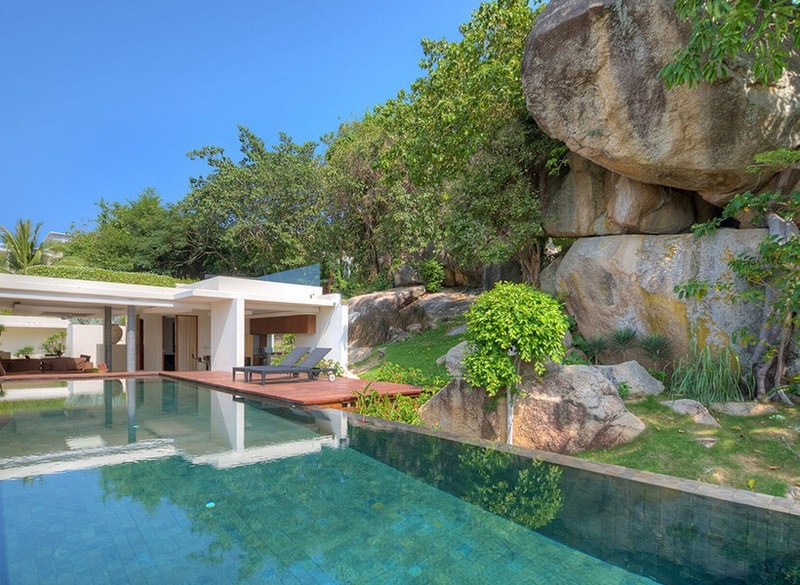 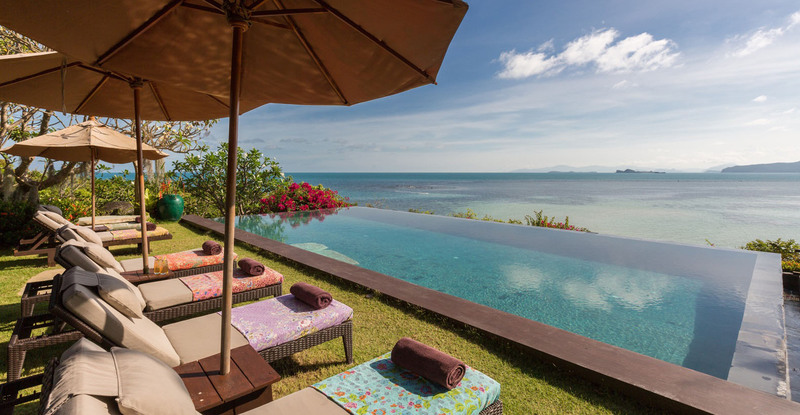 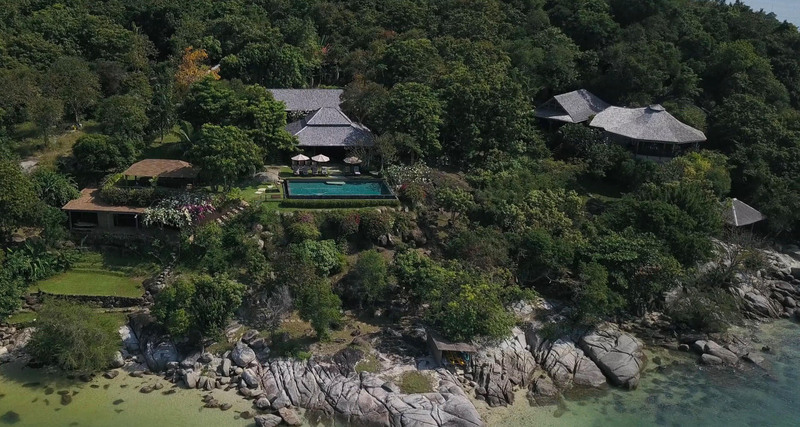 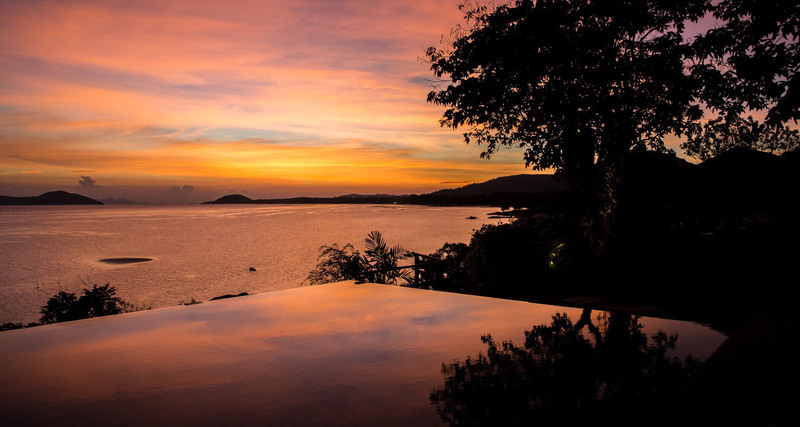 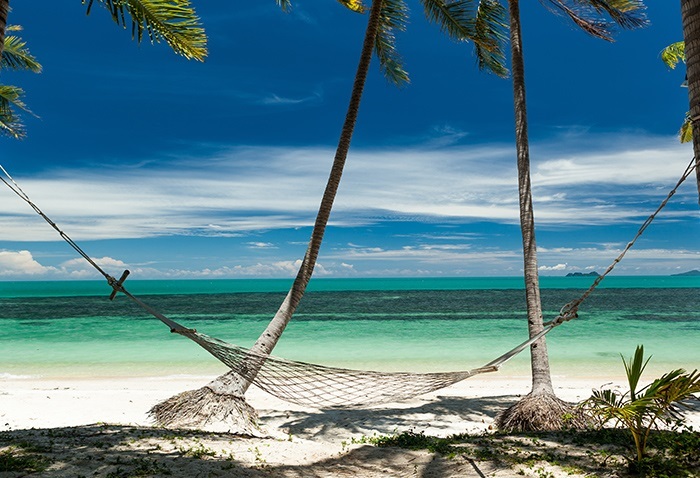 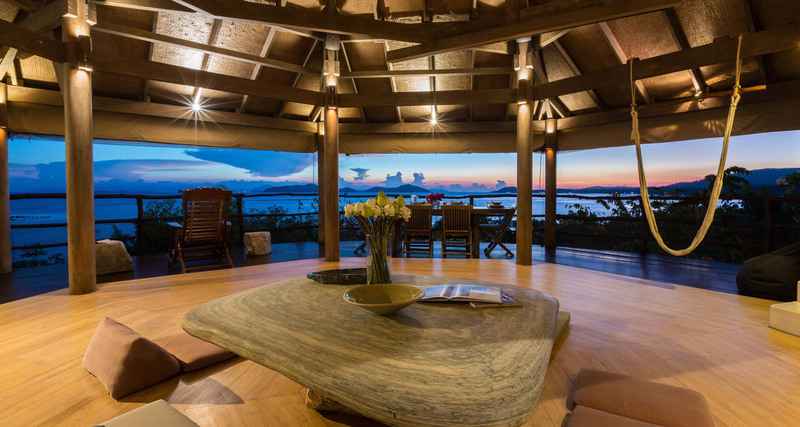 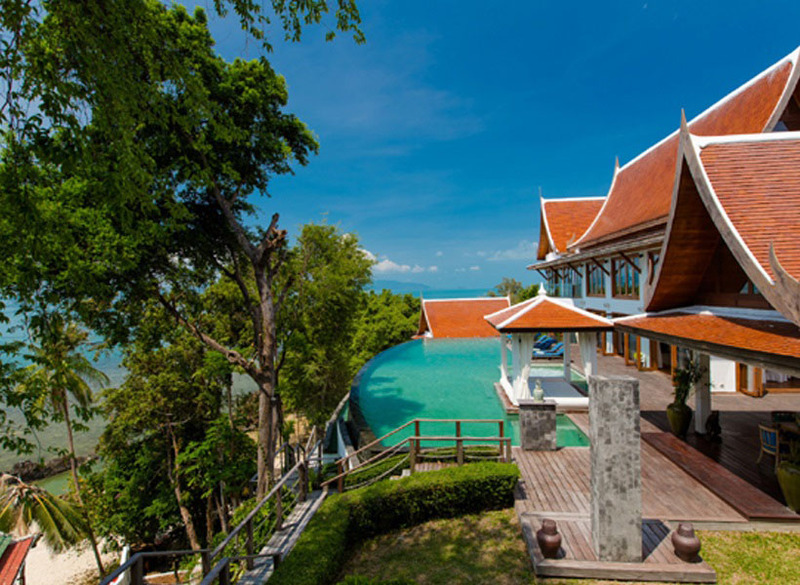 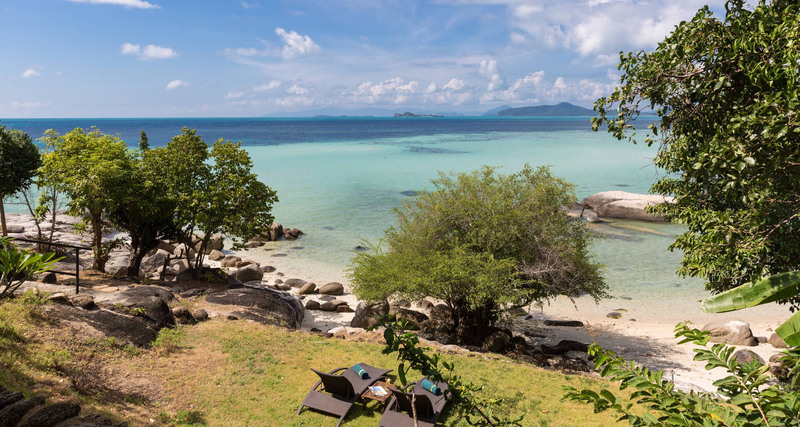 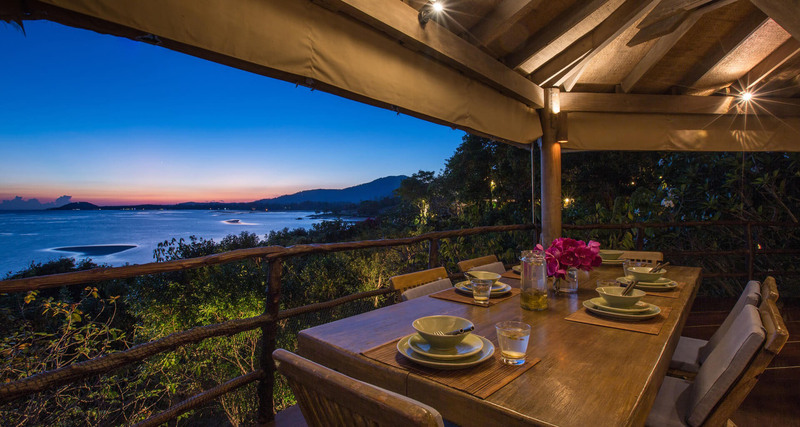 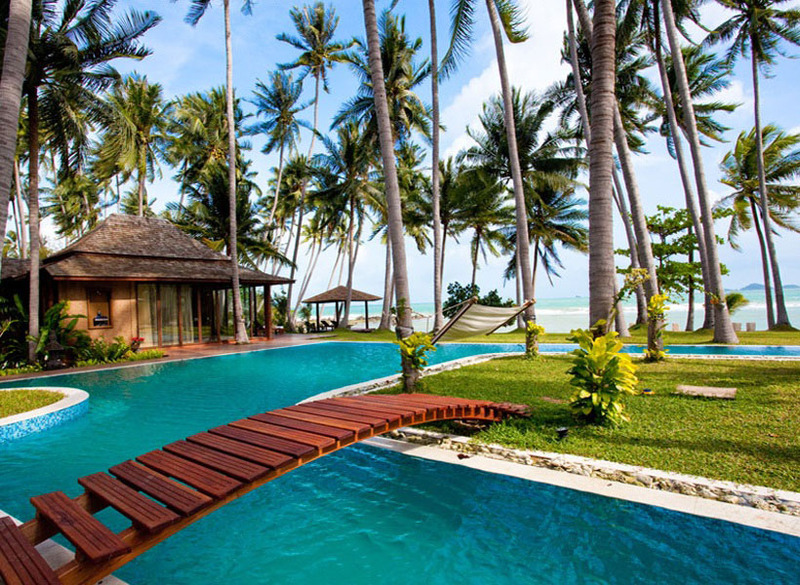 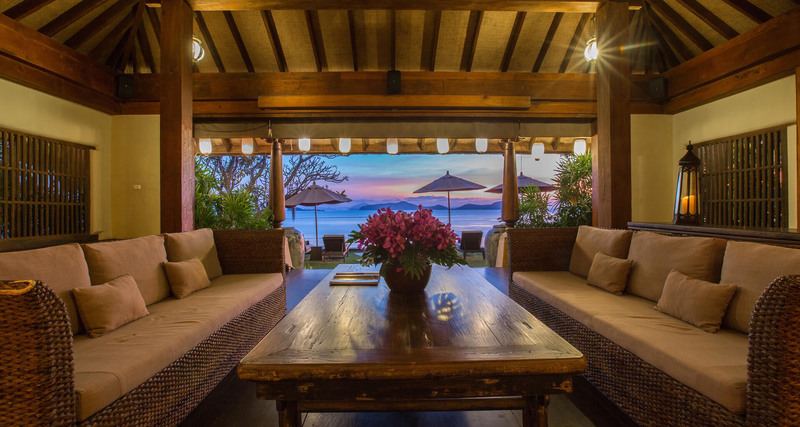 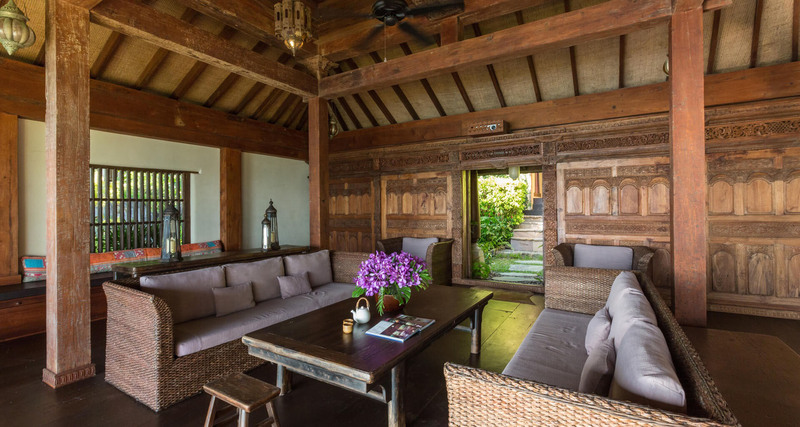 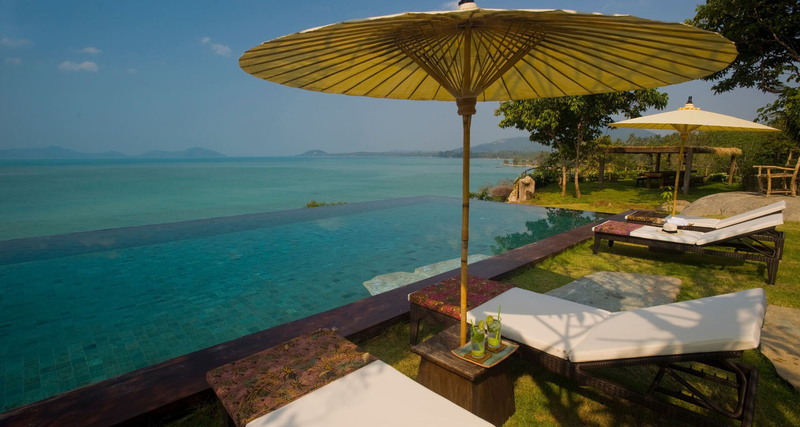 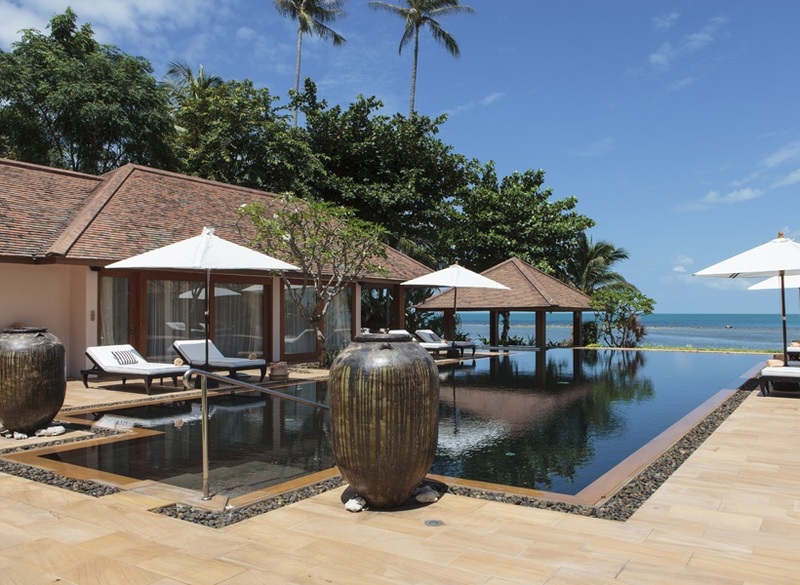 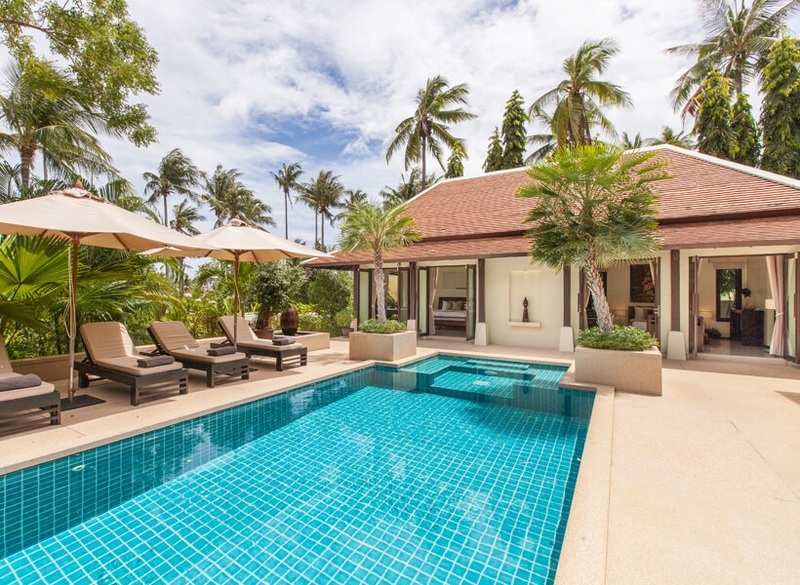 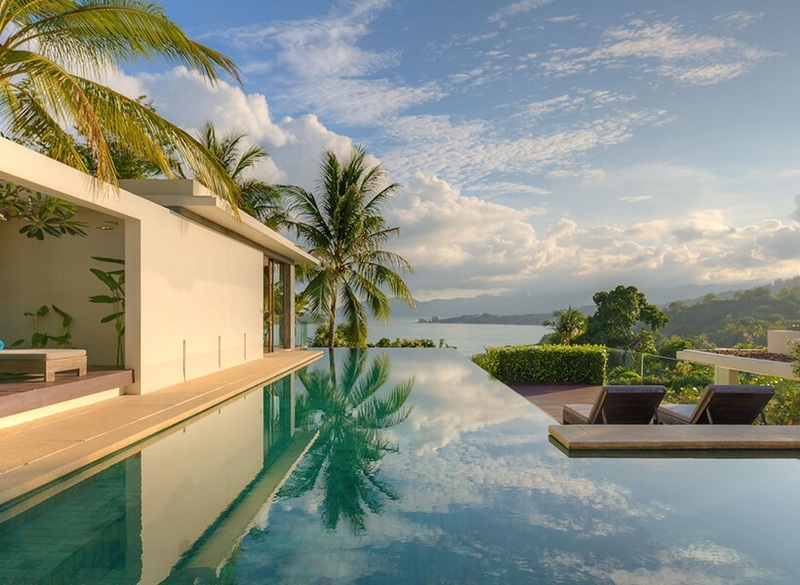 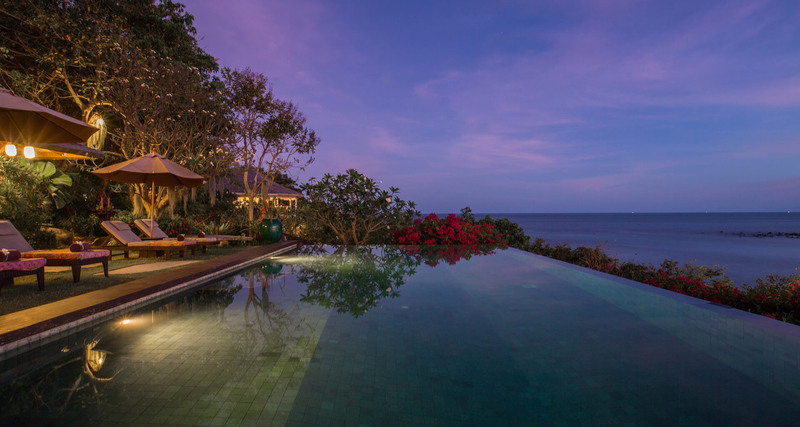 This villa is close to Kamalaya Koh Samui and guests will feel inspired in this tropical paradise. 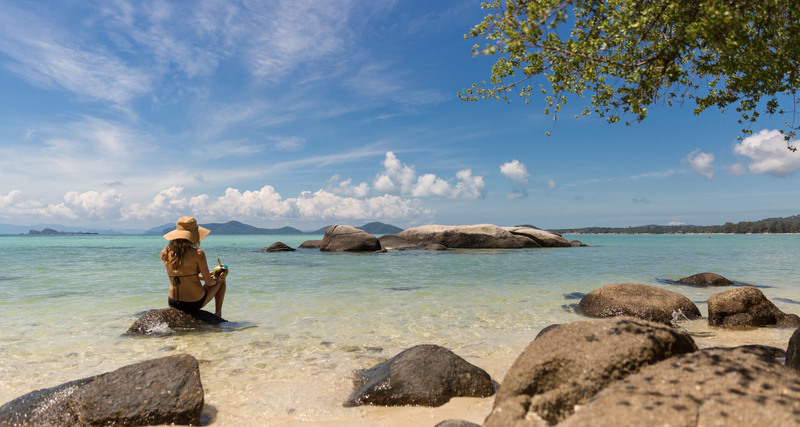 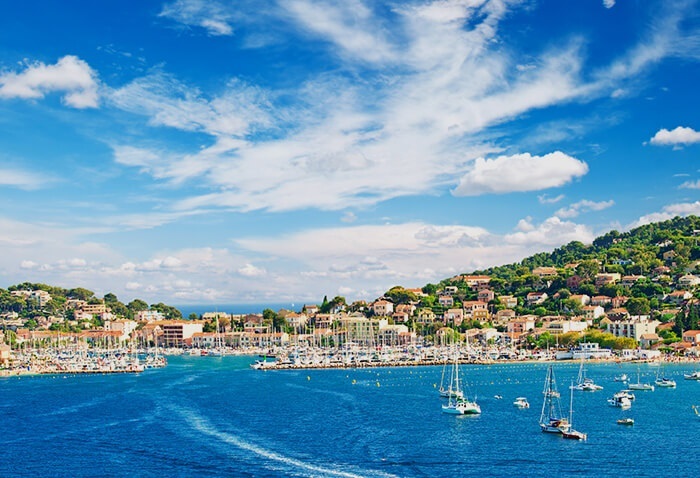 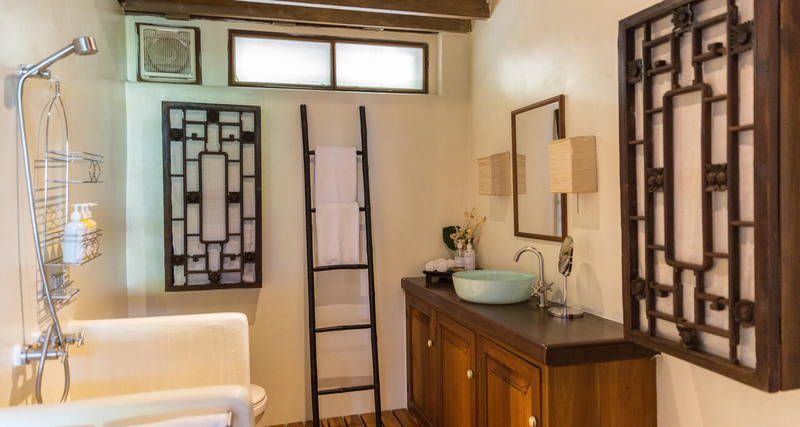 There are kayaks or paddle boards to explore the sandy coves, but if guests want to relax and enjoy a bit of pampering, the Wellness Sanctuary and Holistic Spa Resort is just a short stroll away. 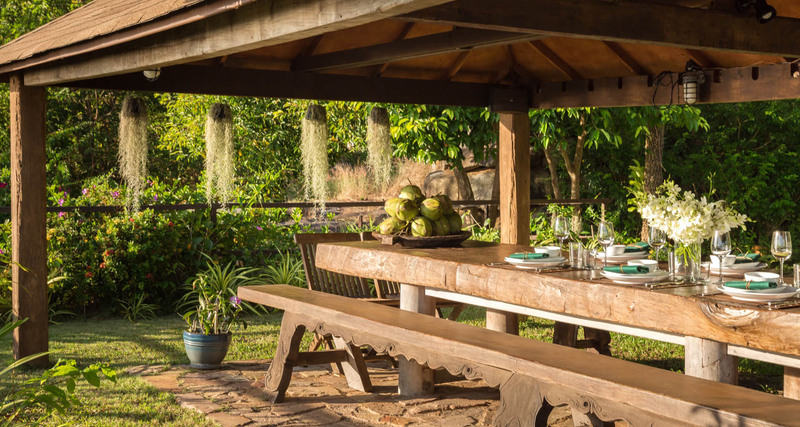 This charming villa is set amidst lush tropical gardens, perfumed with frangipani trees with unique pavilions built with creativity for guests to relax and enjoy. 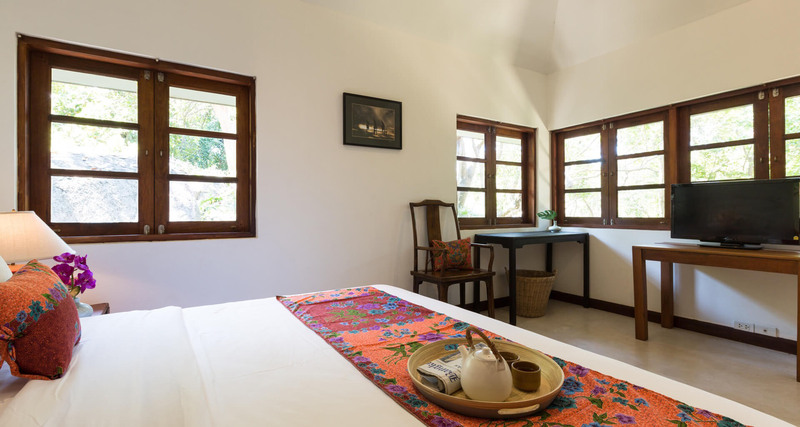 TVFlat screen TV with satellite channels in living area and bedrooms. 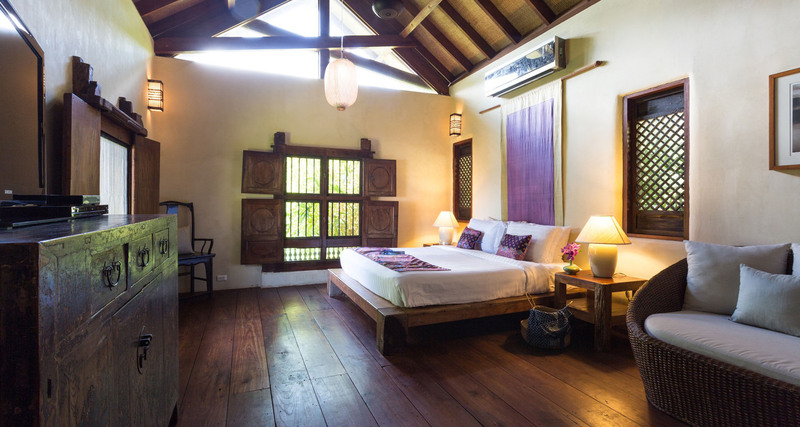 Projector in living room with audio visual system. 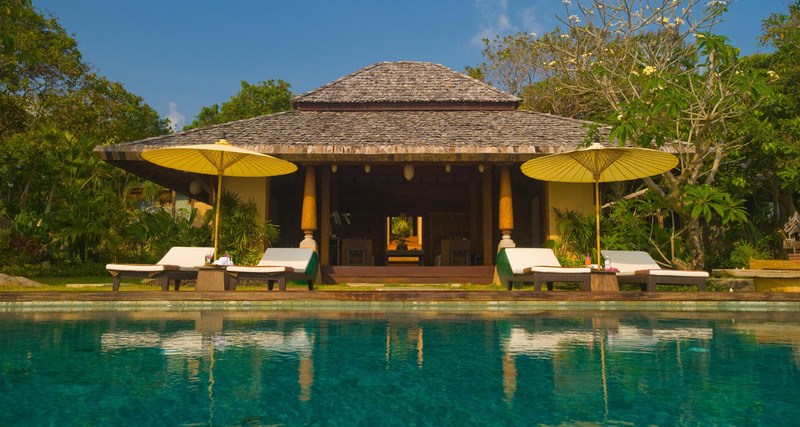 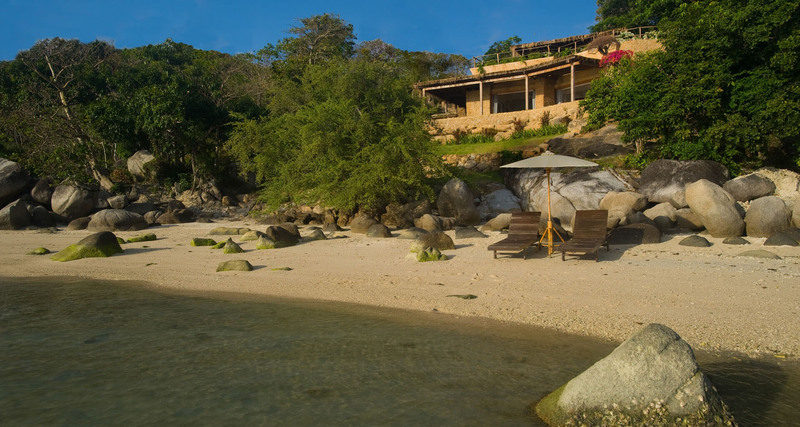 The villa is made up of several different buildings that combine natural elegance with comfort. 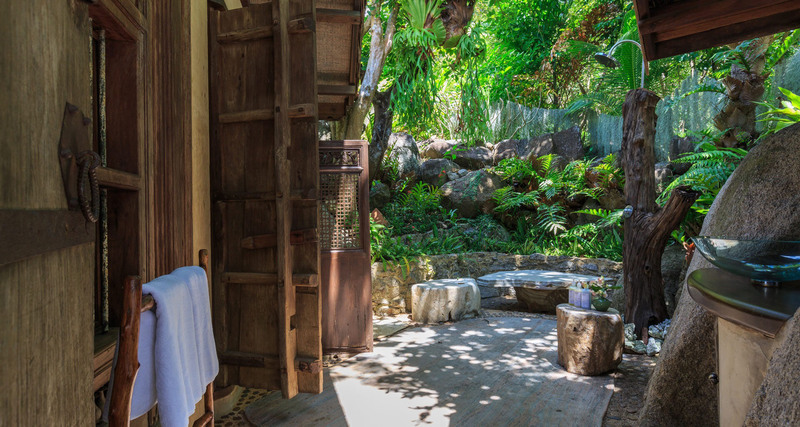 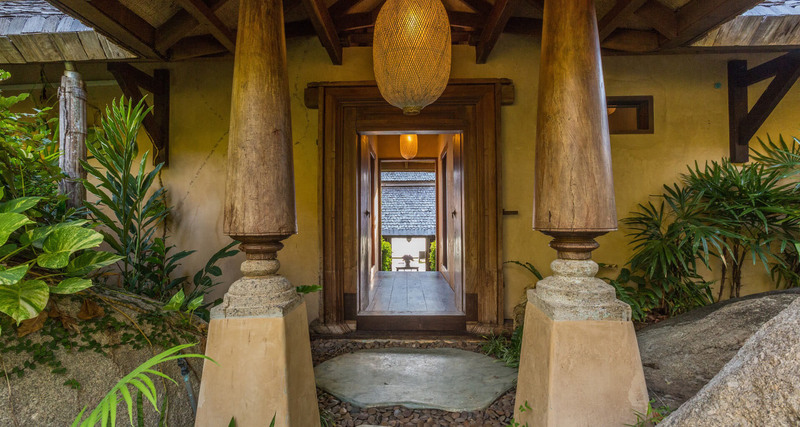 Behind the Bali Temple living room are 2 double bedrooms both en-suite, one with an indoor shower the other with an outdoor bathroom set within the tropical garden. 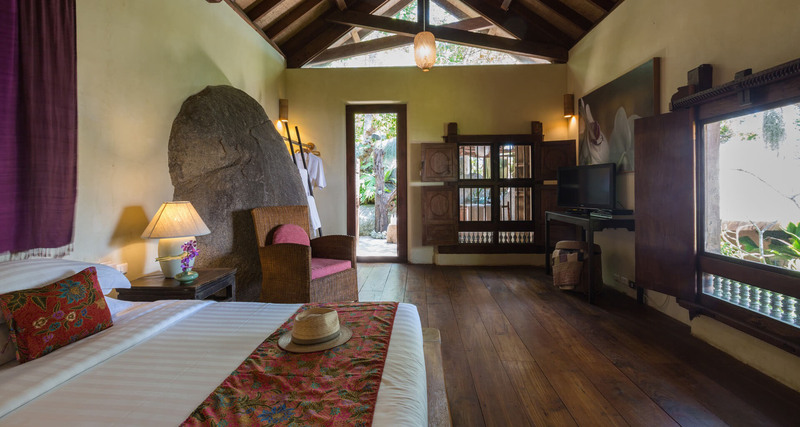 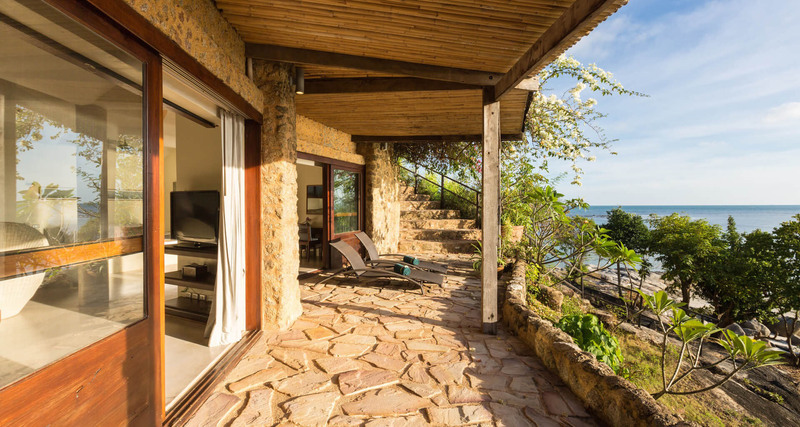 The Garden Master Suite is designed around rock formations with a fabulously comfortable combined living and sleeping area. 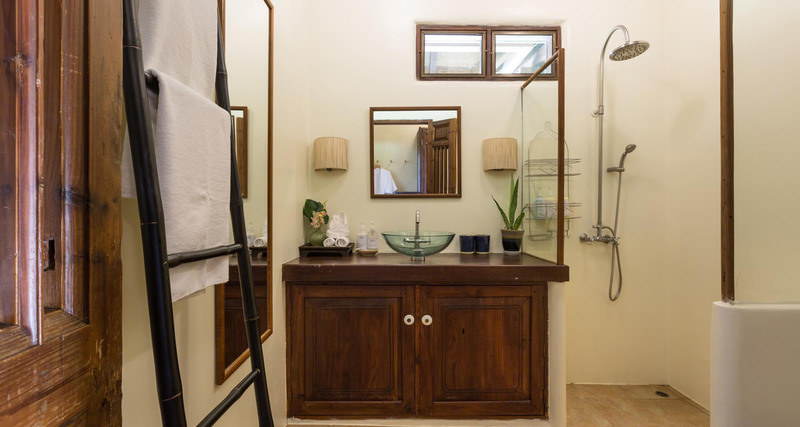 The bathroom is made up of natural materials and is elegant in design with a shower. 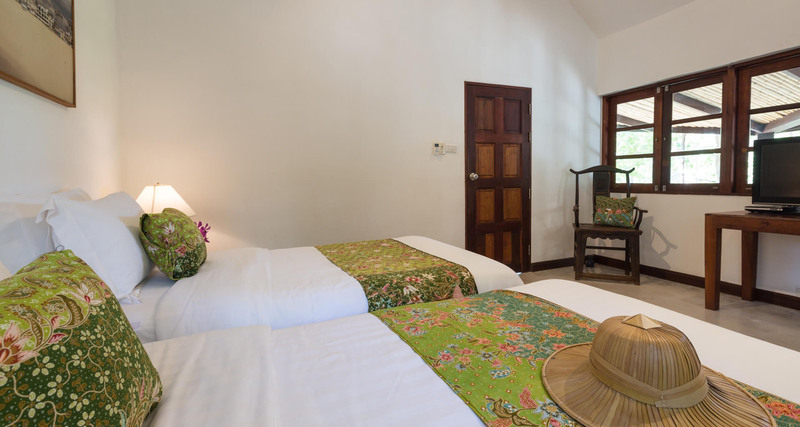 The Octagon Temple has a more oriental theme and has two bedrooms a large bedroom for the adults with a smaller second bedroom more suitable for children. 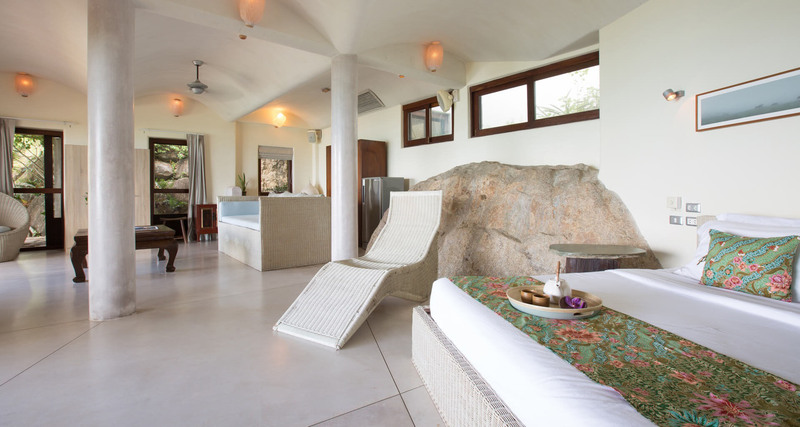 The rooms are separated by a large dressing room. 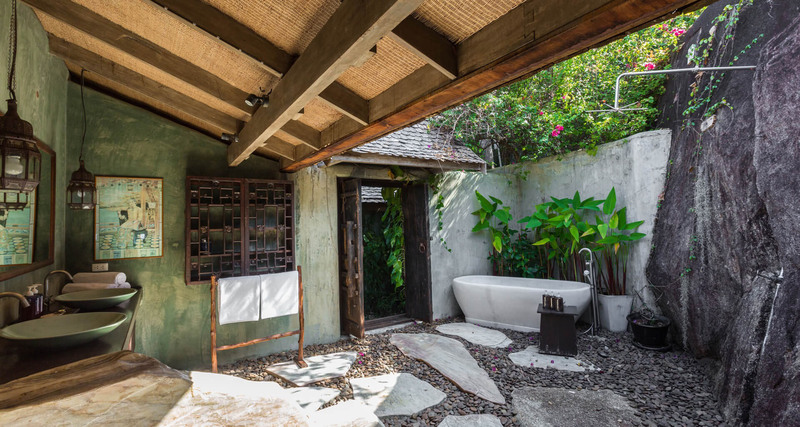 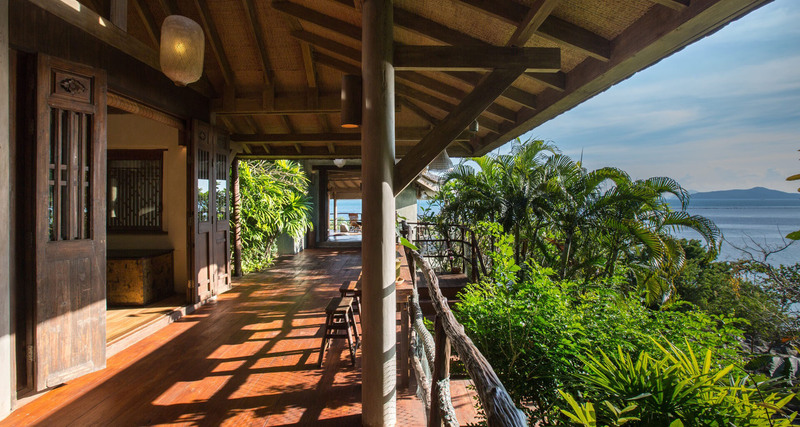 Both rooms share an outdoor bathroom with a tropical shower and this in turn leads to a living area which offers 180 degree ocean views. 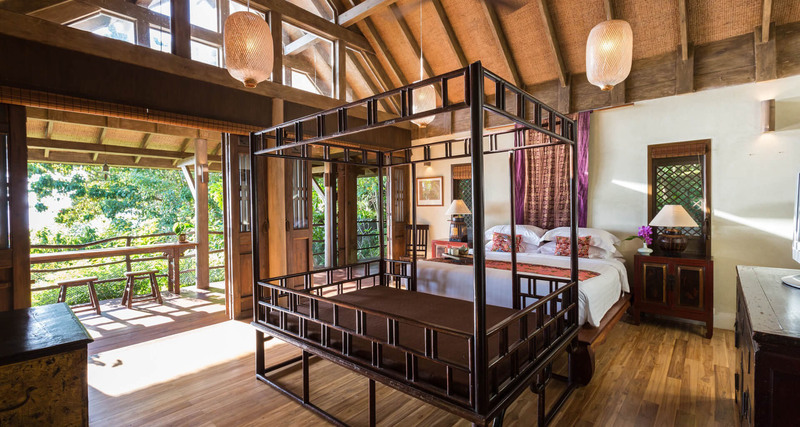 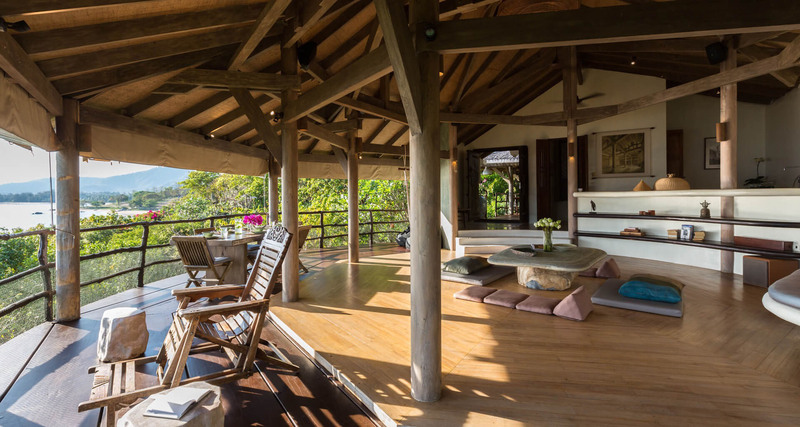 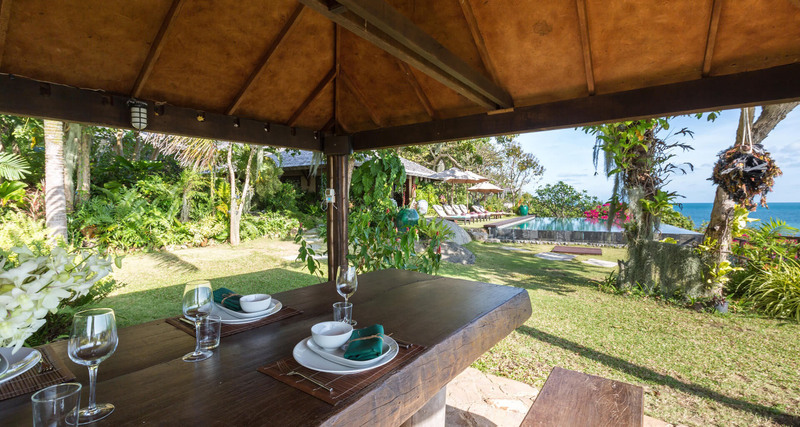 The Tree House is a two bed roomed pavilion with its own kitchen and a covered deck. 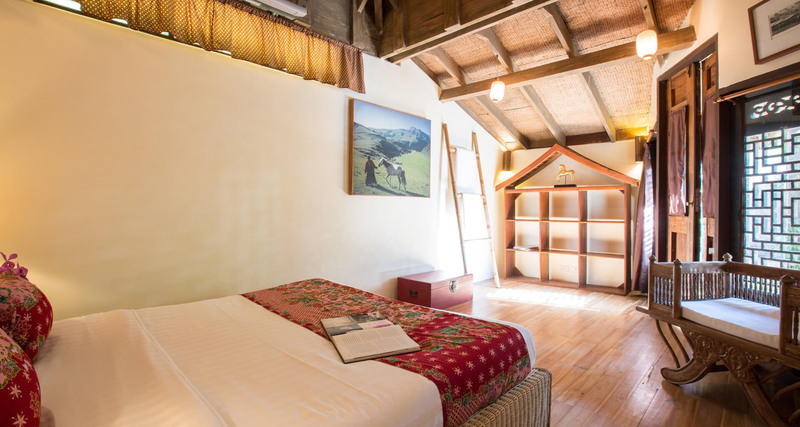 Both bedrooms have indoor en-suite bathrooms one bedroom has a double bed and the other has 2 single beds. 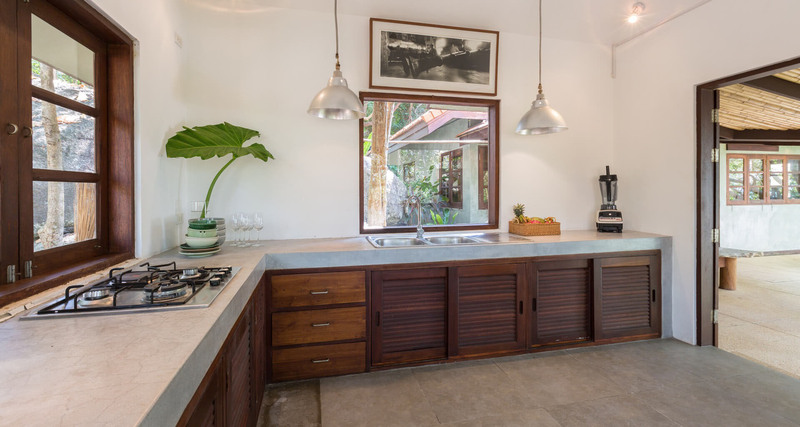 The kitchen is raised and slightly hidden from view but houses all modern conveniences. 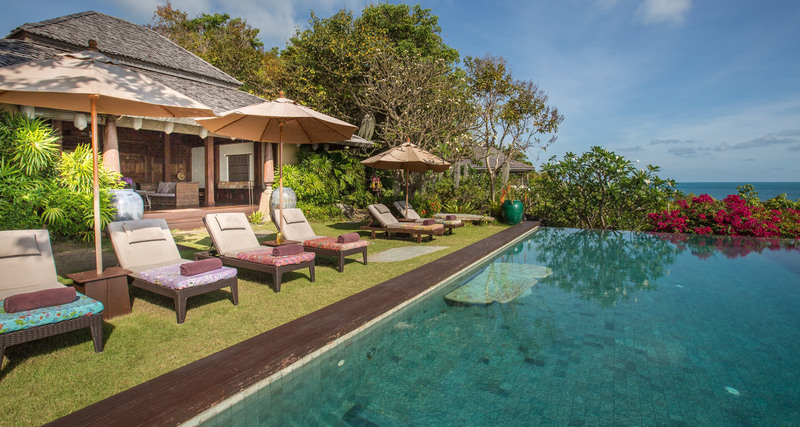 The service of a Thai chef is included in the villa rental but food costs will be added to the guests account and must be paid locally. 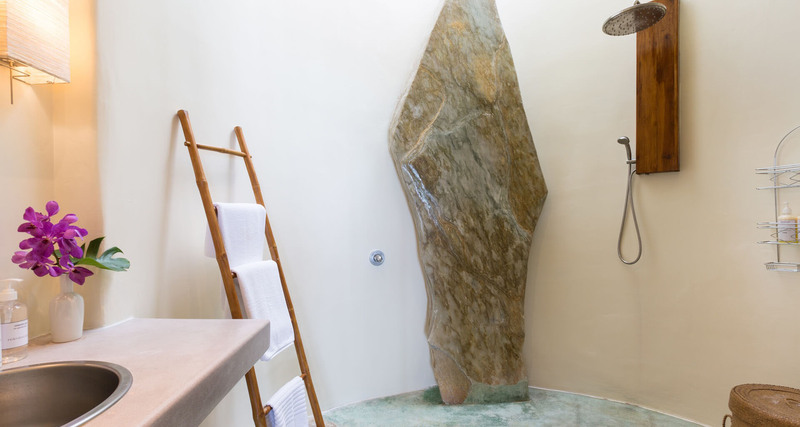 Rates are exclusive of 10% Service charge and 7% tax, payable locally.